The nineteenth annual Goshen Conference on Science and Religion was held on the campus of Goshen College in Goshen, Indiana, Friday, Marchh 29, 2019, through Sunday, March 31, 2019. The speaker for the 2019 conference is Dr. Katharine Hayhoe. 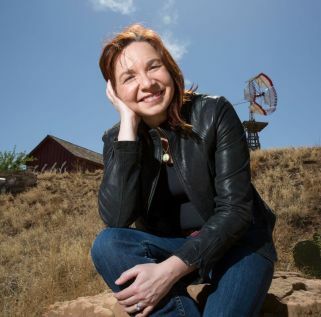 Katharine Hayhoe is an atmospheric scientist whose research focuses on developing and applying high-resolution climate projections to understand what climate change means for people and the natural environment. She is a professor and director of the Climate Science Center at Texas Tech University, and has a B.Sc. in Physics from the University of Toronto and an M.S. and Ph.D. in Atmospheric Science from the University of Illinois. More information about Dr. Hayhoe can be found here. Climate change is evident in Iowa, throughout the United States, and around the world. Assessing its impacts on agriculture, water, and the economy is essential to setting sound national and global targets that minimize the costs and maximize the benefits of both adaptation and mitigation. Conventional wisdom, first codified in the UNFCCC’s 1992 agreement to stabilize greenhouse gas concentrations, suggests impacts are expected to scale with atmospheric concentrations. Here, I explore the relationship between global temperature targets — typically expressed in degrees Celsius, from +2 to +4 --and projected future changes in a series of regional impact-relevant metrics, from drought to energy demand, to answer the question: To what extent do differences in global targets translate into differences in impacts on the Midwest? science, I will discuss potential reasons for these disagreements and the role that shared values may play in moving us forward past these barriers. The Midwest Religion and Science Society (MRSS) is an organization dedicated to the dialog between Religion and Science. A primary interest of the MRSS is Religion and Consciousness. The MRSS has local chapters at Andrews University (MI), Bluffton University (OH), Bethel College (IN), Goshen College (IN), Manchester College (IN), the University of Notre Dame (IN), and the University of St. Francis (IN). There are two major meetings of the MRSS each year, one at Goshen College (March) and one at Andrews University (October).